Frank had an awesome time with Jared this week! 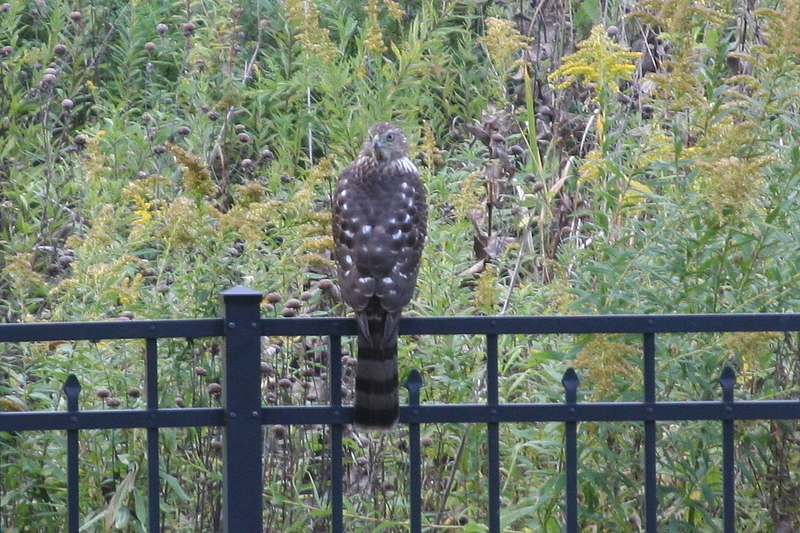 Frank came beak to beak with another falcon (check out that awesome picture!) and tried to make friends, but the other falcon quickly flew away. 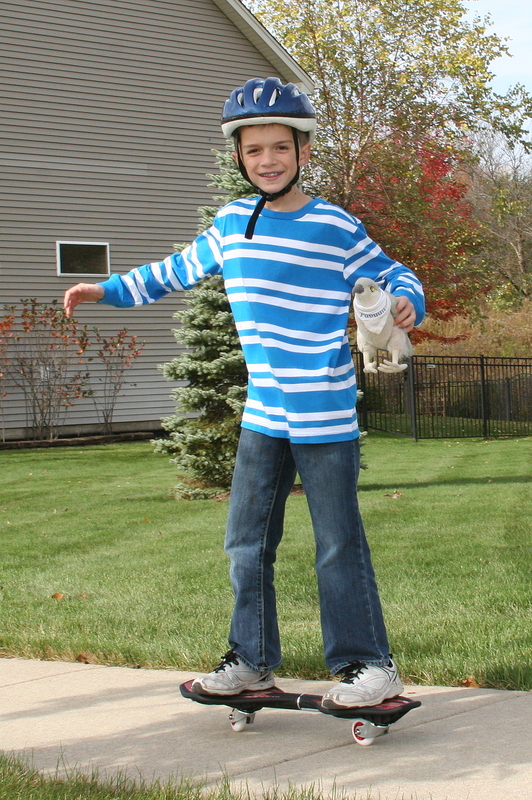 This weekend, Frank got to ride a brand new Ripstick. He nearly fell a couple times, but he still thought it was cool. 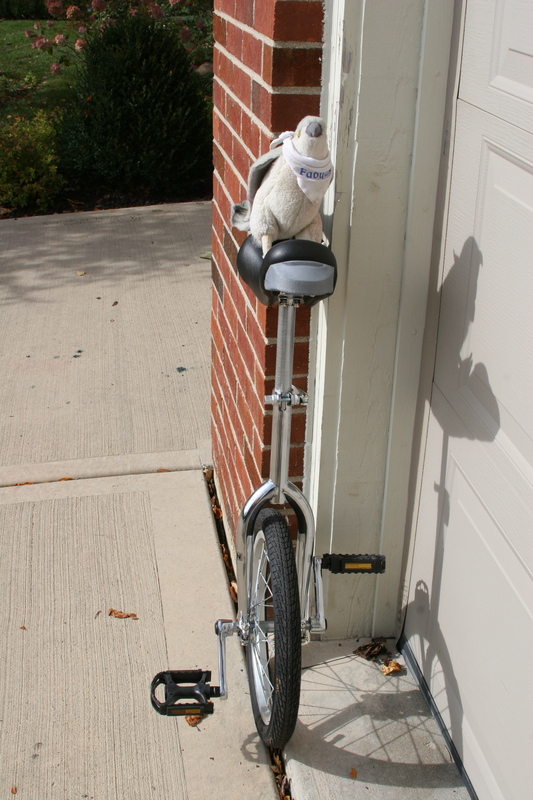 Another thing that happened was Frank also got to ride a brand new unicycle! He thought it was really hard. He thinks he might be a clown some day.